The given research is based on the fact that effectiveness and efficiency of a teacher’s work today depend not only on his or her individual qualities and knowledge, but on willingness and ability to be engaged in collaborative activities with students at the level of partnership and cooperation, as well as on teacher’s culture of social behavior. 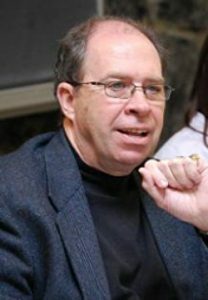 A contemporary teacher must be distinguished not only by his psychological and pedagogical readiness for professional activity and high motivation, but also must have a number of competencies that imply skills of self-organization and self-education, research skills, as well as the ability to organize a student’s self-education. The subject of the study is the conditions and techniques for the development of skills of self-education. The purpose of this article is to show some approaches and conditions for the formation of self-education skills among students of a pedagogical university and the skills to guide students’ self-education. We assume (hypothesis) that the presented methods contribute to the formation of student’s self-education skills, if the described work is conducted on a regular basis, the students are distinguished by high motivation and level of analytical thinking. As the methods of achieving this goal we used the classroom activity at the University, students’ self-preparation, including practice at schools. The author describes his own 12-year experience, gives examples and analyzes difficulties and their causes in students’ activities. 1.Bloom, B. S.: Mastery learning. En J. H. Block (Ed. ), Mastery learning: Theory and practice (47-63). New York: Holt, Rinehart and Winston (1971). 3.Ioannes Amos Comenius Selected pedagogical works. In two volumes. (Russian edition) Volume 1, M, Pedagogy, (1982). 4.Gerbart I.F. Izbranny`e pedagogicheskie sochineniya. T.1- M.:Uchpedgiz,1940- 200 s.
5.Kadioglu, C., y Kondakci, E. U. Relationship between learning strategies and goal orientations: A multilevel analysis. Eurasian Journal of Educational Research, 56, 1-22. (2014). 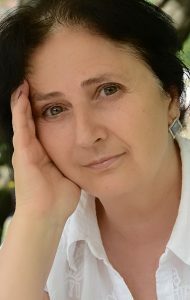 6.Korepanova N.V. Sovremenny`j uchitel` – organizator i pomoshhnik v samoobrazovanii i samorazvitii obuchayushhixsya./ Matetika i budushhee pedagogiki// Kollektivnaya monografiya pod red.V.S.Mes`kova, N.R.Sobaninoj, Chast` 1., M., SCItnce.ru. 2018 –s.107-113. 7.Korepanova N.V., Xakimzyanova I.M. Rabochie materialy` po pedagogike dlya pedagogicheskoj praktiki studentov MPGU. M., MPGU, 2005. S.17. 9.Pintrich, P. R., y Schunk, D. H. Motivation in education: Theory, research, and applications. Upper Saddle River, NJ: Merrill-Prentice Hall. (2002). 10.Rabunsky E.S. «Individual approach in the course of training of pupils» – М: Pedagogics, (2000). The authors have read and approved the final manuscript.